*No computer special skills needed. Bring your own laptop. Sheltertech, are creating an online directory resource (think Yelp!) to help the underserved community in San Francisco gaining information on accessible basic amenities (i.e food, shelter, shower). 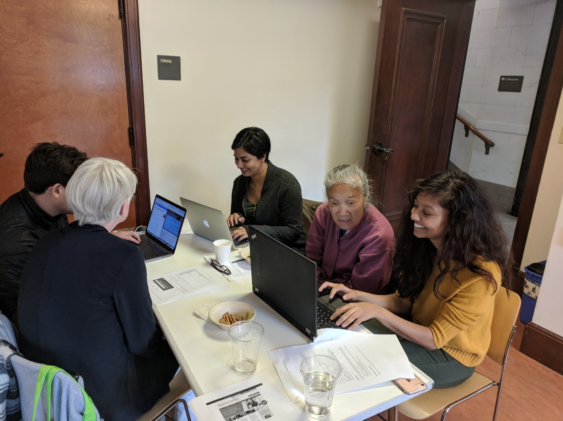 One of the regular public events/workshops held is Datathon, which is an opportunity for you to work side-by-side with community representatives – people who are currently or have previously been homeless – to learn about resources available to the homeless community in San Francisco and to verify and to vet information making sure the 1000+ services in our system is correct. No computer special skills needed. Bring your own laptop. Snack and beverages will be provided for volunteers.